Carrier Dome is unarguably the most enormous domed stadium yet built in Northeastern USA that also happens to be the most gigantic of all basketball grounds on-campus and the biggest domed arena ever available to any American college throughout the nation. Within its notably high-reputed expansive depths, the stadium has been noted to have easily accommodated a large crowd of over thirty-three thousand, which is the officially stated capacity of the arena. The gigantically well-caped Carrier Dome is situated in the University Hill friendly neighborhood of Syracuse, New York on the campus of Syracuse University. Carrier Dome spacious arena is known to be the ideal favorite for hosting many flavorful, colorful events ranging from sports and championships to some of those funkiest, hottest of concerts and musical shows. Carrier Dome tickets have been carried through for not only the Syracuse Orange basketball, lacrosse and football events which the arena is home to, but also other football championship among High schools, field and indoor track championships and most specifically, the championships for New York State Field Band Conference. Carrier Dome was constructed in 1979-1980 on the site of its predecessor known as the Archbold Stadium. In the 1970s, the Syracuse University was confronted with a demand to make better its football facilities so that it could hold its status as a football school in the Division 1-A category. In response the university began working on the construction of a new arena on the Archbold site, which opened in Septemeber1980 and instantly grabbed much attention for its remarkably clear, resounding sound quality, rightfully earning the nickname the Loud House. The stadium was given an inflatable roof of fiberglass with additional Teflon coating due to which sounds echo multiple times creating the famously special loud effect. The entire construction costs summed up to a little over twenty-six million dollars that also covered the Carrier Corporation's naming gift worth $2.75 million. Since its opening, Carrier Dome has been improved a few times with particular attention to its interior features such as the installation of an LED video system that consists of two large 15' by 25'display boards, placed in strategic 3rd Level corners alongside fifty-eight TVs to facilitate the 1st and 2nd Levels. Moreover, the stadium was given a new inflatable roof in 1999, which amounted to fourteen million dollars. Some of the most massive NCAA basketball crowds have been noted for making attendance records at the stadium. In February 2010, the arena was reported to have set a new record of holding as many as thirty-four thousand, six hundred and six people on the Villanova Wildcats versus Syracuse Orange game. Carrier Dome has also honored performances by big act artists from the likes of Elton John, Paul McCartney, The Rolling Stones and Taylor Swift. If you ever get the chance to experience what it is like inside the bounds of this majestically domed arena, get those Carrier Dome tickets and be there whether the event centers round a legendary musician or some huge championship. The average Carrier Dome Tickets price will cost you between $70 and $433, if you are looking for the cheapest seats then catch the event being held at the Carrier Dome, Syracuse on 26/04/2019. The average ticket will cost you the highest on 13/09/2019 at the Carrier Dome, Syracuse. Minimum get in price is for Carrier Dome Tickets is $47 for the event being held at the Carrier Dome, Syracuse on 26/04/2019 , there are some venues that have a much higher get in price, for instance the cheapest seats at the Carrier Dome, Syracuse on 13/09/2019 will set you back $265. I want to get the providence syracuse tickets? 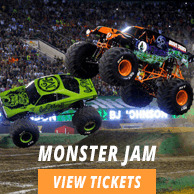 I want to attend one of the upcoming events at the carrier dome. And i need some really affordable tickets to that. See through our affordable Carrier Dome tickets. You will certainly find what you are looking for. Thanks. You can get your choice of Providence Syracuse tickets right here at Ticket Luck, have a look at them now!